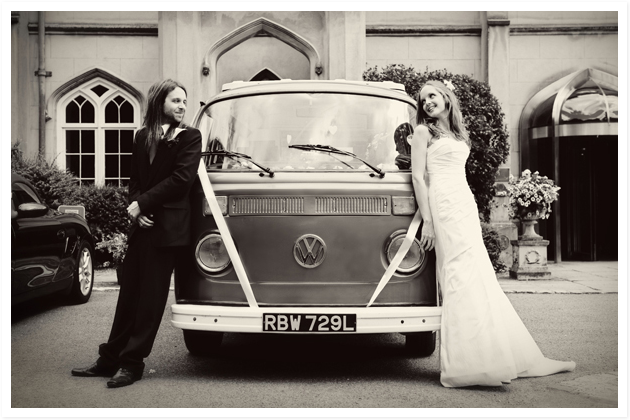 The groom turned up to Missenden Abbey in retro style in our Camper George. There were a handful of guests waiting by the entrance to greet him but it wasn’t until after the ceremony that George got the attention that was intended. Guests had a lot of fun taking their own photos while he was parked up outside. In the wedding photographer’s photoshoot some amazing pictures and memories were captured and George really came into his own.